Planning on creating a residential master key lock system in your home? Getting all your locks to open with a single key is very convenient and a lot more residences in the local region are trying it out. 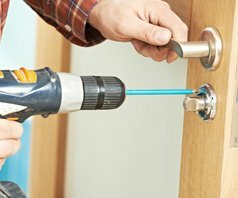 Sterling Locksmith Store’s locksmiths are available in Sterling, VA to convert your existing system into a master key system at an affordable price. We have installed countless such systems in the past, so we have the experience and the know-how to do the job right. Our service is known to be fast, affordable, and reliable. If you need the system installed quickly, all you have to do is pick up the phone and call us. We provide a doorstep service in Sterling and nearby regions. We can send a team to your location in a matter of minutes. Call us now on 703-334-0714!